A group of Apple's Safari web browser users has launched a campaign against Google over privacy concerns. They claim that Google bypassed Safari's security settings to install cookies which tracked their movements on the internet. Between summer 2011 and spring 2012 they were assured by Google this was not the case, and believed Safari's settings to be secure. So far one person has begun legal proceedings against Google. A law firm has been instructed to co-ordinate further claims made by other individuals. 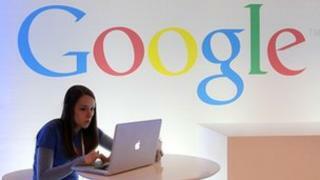 Last year Google was fined $22.5m (£14m) in the US for the same actions. The cookies collected data about the online activities of web users in order for Google to provide more targeted advertising to them. Judith Vidal-Hall, former editor of Index On Censorship magazine, is the first person in the UK to begin legal action. "Google claims it does not collect personal data but doesn't say who decides what information is 'personal'," she said. "Whether something is private or not should be up to the internet surfer, not Google. We are best placed to decide, not them." When Google was fined by the US Federal Trade Commission in 2012, chairman Jon Leibowitz said that all companies must "keep their privacy promises to customers". However the penalty was for Google misrepresenting its actions to Safari users rather than for the actual act of bypassing the security settings, and the firm was not obliged to admit wrongdoing. Google declined to comment on the latest action, which has been launched to coincide with the sixth annual Data Privacy Day in the UK. "This episode was no accident," Nick Pickles, director of civil liberties campaign group Big Brother Watch told PA News agency. "Google tracked people when they had explicitly said they did not want to be tracked, so it's no surprise to see consumers who believe their privacy had been steamrollered by corporate greed seeking redress through the courts. "This case could set a hugely important legal precedent and help consumers defend their privacy against profit-led decisions to ignore people's rights." According to web analystics service StatCounter, at the end of 2012 7.92% of its sample of three million global net users accessed the internet via Safari, while 36.42% used Google's Chrome browser.